Marisa Labozzetta’s ebook edition of Thieves Never Steal in the Rain recently won the Eric Hoffer Honorable Mention Award, which honours the best in independent, self-published and micro-press literature. Thieves Never Steal in the Rain (Laura Gross Literary Agency, 2011) is a collection of linked short stories on love, loss, and the supernatural. 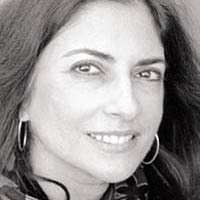 Marisa Labozzetta is also the author of the novel, Stay With Me, Lella (Guernica 1999). She was a finalist for the 2009 Binghamton University John Gardner Fiction Award and a Pushcart Prize nominee for her collection of short stories, At the Copa (Guernica 2006). Her work has appeared in The American Voice, Beliefnet.com, The Florida Review, The Penguin Book of Italian American Writing, Show Me a Hero: Great Contemporary Stories About Sports, and the bestselling When I Am an Old Woman I Shall Wear Purple. Tagged with ebook, Eric Hoffer, Maria Labozzetta, short stories, short story collection.